Servant leaders differ from abusive leaders in all three basic issues of leadership: vision, alignment and achievement. They also have significant personal differences. Finally, there are profound differences in the impact of each kind of leader on the followers. Of course, one does not need to possess all the characteristics that follow to be a truly abusive leader. The presence of any of these characteristics in his life or leadership should concern a leader. In our next Letters we will examine these four areas of contrast between servant and abusive leaders: vision, alignment, achievement and personal differences. The servant leader leads, ultimately, for the benefit of others, in the fulfillment of God’s will. Thus, he is a “servant” leader. The abusive leader, however, leads, ultimately, for his own benefit. Servant leaders pursue visions that benefit their organizations, whereas abusive leaders build their own power base at the expense of the organization. In developing their vision, servant leaders are responsive to the interests and desires of their followers. They incorporate their followers’ hopes, dreams and aspirations in their vision. Followers actively contribute to and develop the vision further so that it becomes truly shared by all. Servant leaders desire to invest in others to see the vision accomplished. Jesus’ hope was for His followers to do “greater things” than He had accomplished (John 14:12). Moreover, the time frame of His vision was future; it was only after His ascension that His followers “turned the world upside down” (Acts 17:6). Thus, He was not merely doing things for His own accomplishment now – He built others for their accomplishments in the future. Abusive leaders, however, want to see results now. They need the affirmation and significance they think the results will bring. Their vision is more short term and revolves around numbers and outward success. 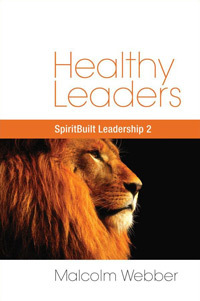 The servant leader is willing to live and die in obscurity, investing a few, focusing on them and not on himself, knowing that if he does this properly the fruit will come eventually, perhaps after he is gone (Matt. 13:31-32). He is willing to lead for the long term. He is willing to lead for the few. The abusive leader demands impressive results now. Impacting a few is not enough for him. He leads for the short term. He leads only for the many. Leads, ultimately, for the benefit of others. Leads, ultimately, for his own benefit. His vision serves the interests of the whole organization. His vision reflects his own self-interest. Promotes realistic visions. Promotes visions that are often grandiose and unrealistic. Works with coworkers toward long-range goals, with concern for their personal development. Demands immediate results, even if it damages the coworker’s future potential. Focuses on a few. Focuses on many. Leads changes very carefully and cautiously for the sake of followers. Arbitrarily changes at the whim of his own need or desire. Encourages loyalty to Jesus Christ. Mouths the need for loyalty to Christ; in reality, demands personal loyalty to himself. Our next Letter will study the contrast between servant and abusive leadership in the area of alignment. It is very true and clear teaching about ego centric leaders? People must read it and open their eyes, ask the question themselves, Who am I following? Is my leader or pastor really man of God or people user?